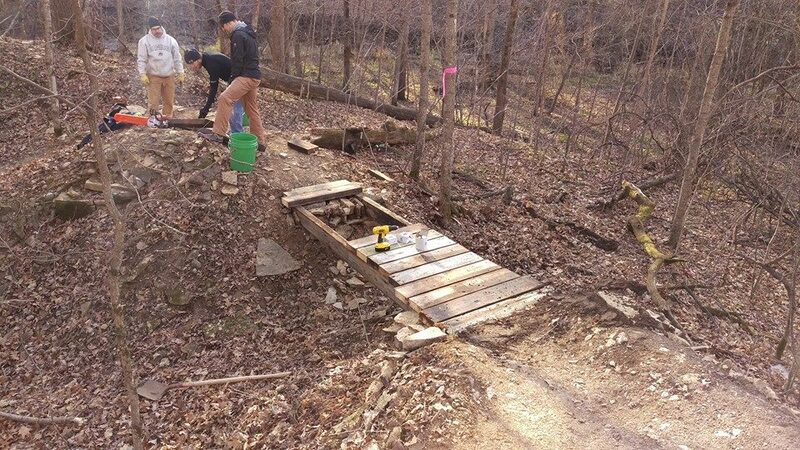 In the summer of 2015, CROCT volunteers, with approval from Rice County’s Parks & Facilities Department, constructed a beginner/intermediate-level trail segment in Caron Park, about half-way between Faribault and Northfield. 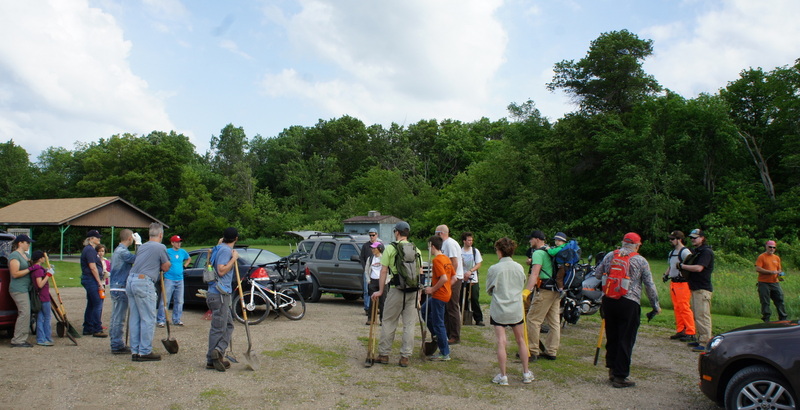 Most of the initial trail work was done on June 6, National Trails Day. See our blog post and photo album of the day’s activities. In the fall of 2015, an extension (Loop 2) was added. See our late November blog post and photo album. We’ll soon add a map and more details about this trail to this page.